We are asking for St. Edward’s to consider the long term effects on the tax supported infrastructure they depend on in our neighborhood. 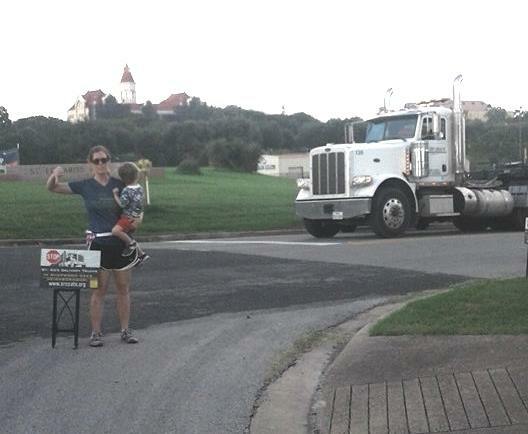 We oppose commercializing Sherwood Oaks by building a shipping and receiving dock fronting our street. This might be good for St. Edward’s business but it is not good for our neighborhood or our city. In Austin (zip 78704), the median household income is $50,248. In Sherwood Oaks, the average property tax bill is $9000. Average rent in South Congress/Sherwood Oaks is $2000 a month. This is because property tax has shot up tremendously and that is passed on to renter. 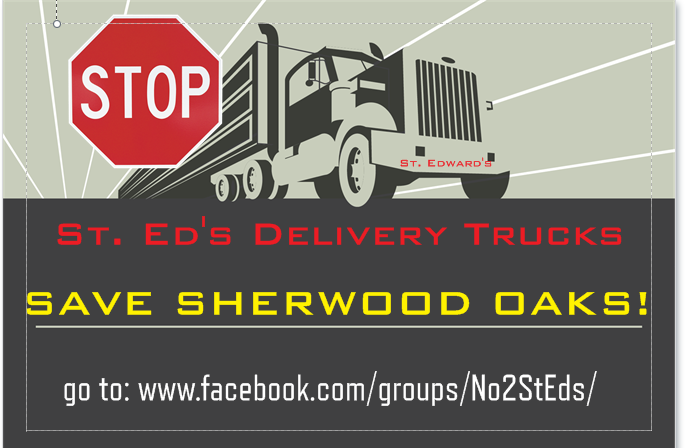 Sherwood Oaks neighbors pay a large part of their income in taxes in support of streets, water and drainage infrastructure that are being “repurposed” to support the profits of St. Edward’s, tax exempt business.St. Edward’s made a 26,000,000 profit last year but is tax exempt. We’re reproducing the whole article here for our neighbors who may not be able to read the whole article online (pay site). See our earlier articles with document links and video from the Planning Commission Meeting, and the neighborhood’s Plan Team vote in favor of waivers. After a successful night at the Planning Commission, a new South Congress hotel will have both a pool and a driveway — despite concerns about their placement from neighbors and the church next door. While the zoning at 2510 South Congress Ave. does allow for a hotel, Krug Development was seeking compatibility waivers from the city that will allow for a driveway and swimming pool to be placed closer to residential property than allowed under code. The driveway will be 5 feet from the neighboring property, instead of the required 15, and the pool will be 28 feet away, not the required 50. It has been a pleasure to meet and get to know the wonderful residents of the Dawson Neighborhood. We couldn’t be happier to call the Dawson Neighborhood home for The Guesthouse Hotel. 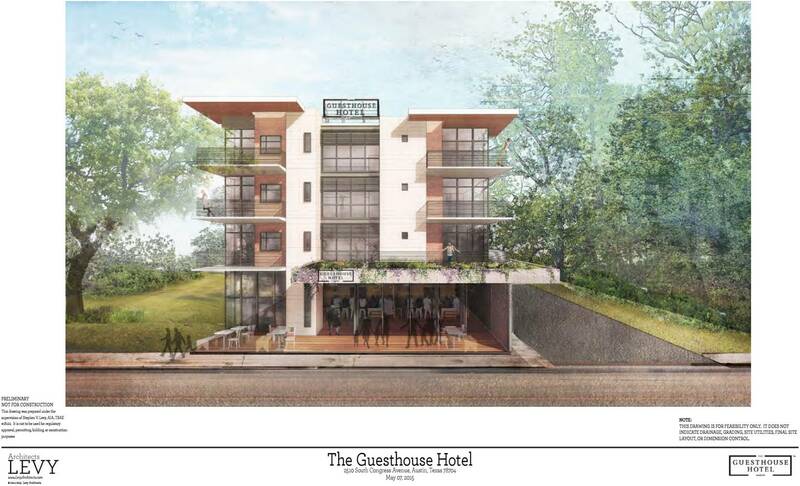 The Guesthouse Hotel’s mission is to provide a unique, individual, home-like experience for our Guests. We have designed a hotel that provides spacious, private accommodations with multiple bedrooms, kitchens, living rooms, and bathrooms. We recognize that most lodging experiences have remained unchanged in the past half century. The average size hotel room in 1950 was 325 square feet and remains the same today. In contrast, the average size home has increased 144% from 983 square feet in 1950 to over 2400 square feet today. Americans live much differently today than they did 50 years ago and they shouldn’t have to turn back the clock 50 years while on vacation.